Preheat broiler on high heat. 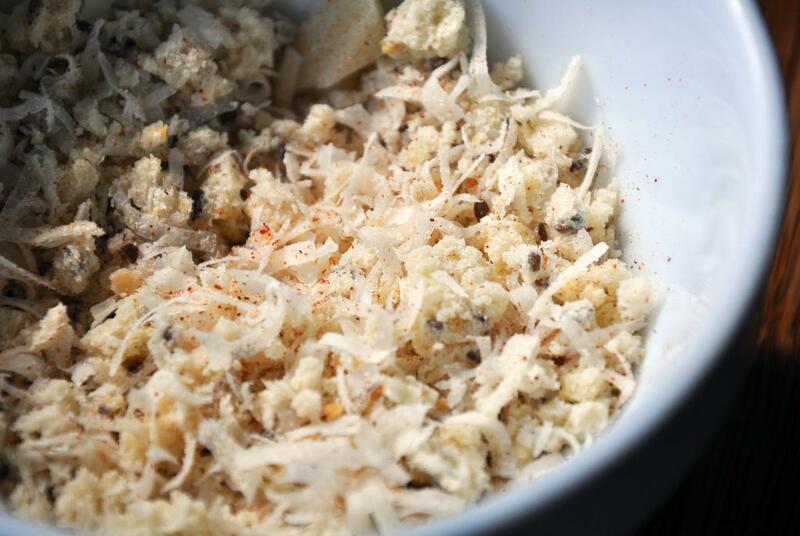 Meanwhile in a medium bowl, add 1/4 cup soy milk, cauliflower and salt. Put a plate on as a lid and microwave 2 minutes until crisp-tender (nuke up to 4 minutes for a softer veg). 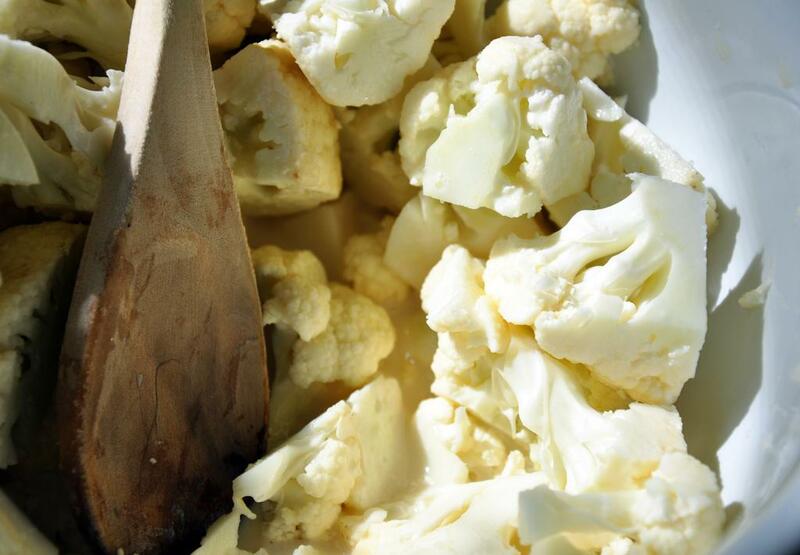 Drain milk from cauliflower into a medium pot. Whisk together remaining 1/2 cup soy milk and flour. 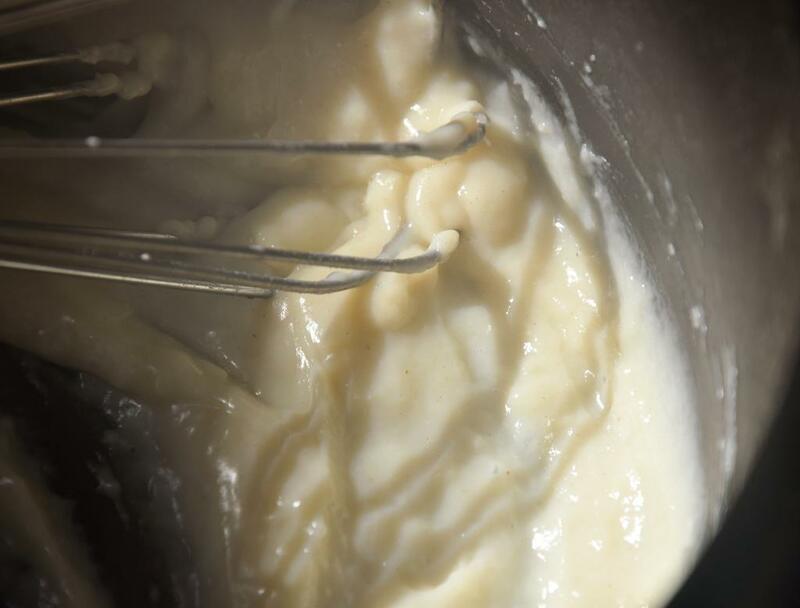 Add to pot and cook over medium heat 2-3 minutes until thickened and slightly golden (this is a béchamel sauce). Remove from heat and add Gruyere, garlic, mustard and pepper. Stir until cheese is melted. Spray a 2 QT baking dish with cooking spray. Put cauliflower in the dish and cover with cheese sauce. Mix until all the cauliflower is well coated. 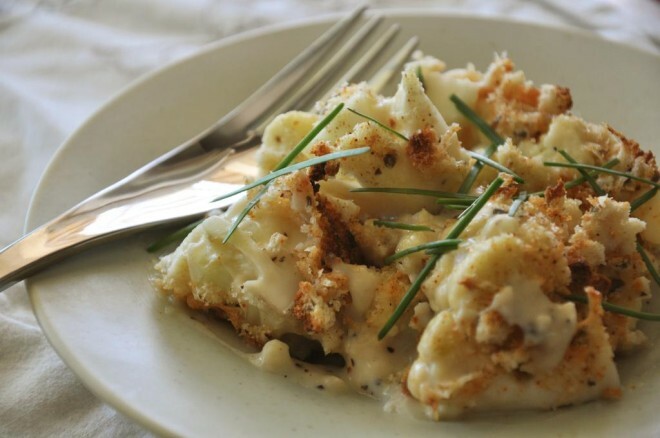 In a small bowl, mix bread crumbs, Parmesan and cayenne. Sprinkle evenly over cauliflower. Broil 2-3 minutes until bread crumbs are nicely browned. Top with chopped chives or parsley and serve hot. Here I was, all excited to get some Chinese food for lunch and then I see this.I will be eanitg my eggplant in garlic sauce, thinking all the while that it is not a grilled ham and cheese sammich topped with a melty, oozy egg.